In 1991 I had been using graphics software on the Amiga to experiment with digital effects. Mind you, at this time most effects were done optically or with video equipment. The software that was available at the time could only work on a still image. I wrote a program, MultiFrame, that allowed the user to animate and use multiple effects to “batch” the existing Amiga applications and created moving visual effects. I formed a small company and sold the software in the US and abroad. Amigas were very big in Europe at the time and reviews of it were very good and sparked decent sales. Not long after, I was compositing a commercial in a video edit suite where I worked on a Grass Valley Switcher. It could layer 3 images at once. I knew I could layer one image at a time on my Amiga so I started thinking about what it would take to composite layers in the computer. I started playing with code that would allow the user to “stack” sequences of images along with sequences of alpha images to create a “timeline” that could be visually arranged prior to rendering. This was the start of MultiLayer and my first compositing software. 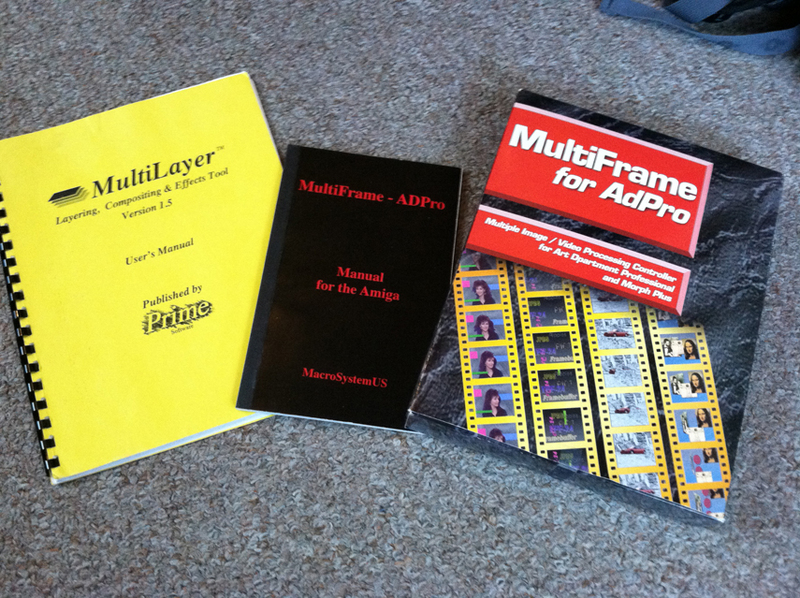 MultiLayer worked with two effects programs, Art Department and ImageFX for the Amiga and allowed layering, simple editing, compositing and addition of visual effects to sequences. It was very, very cool to see it working. I had more fun writing and using the code than marketing it, so I went to a local Amiga hardware/software distributor and let him handle the marketing. We had ads in all the national Amiga magazines at the time. I went to my first AmigaWorld convention in California and worked the booth to promote the software. Crowds were big and great and gobbled up the stuff we were showing. The visual effect company behind Seaquest DSV, a tv series that was all done on Amigas with Lightwave 3D, contacted me and was using my software to composite. Sales and reviews were great. I worked with a lot of other software and hardware vendors to allow their equipment to use my software. Remember, at this time it was a very expensive prospect to see full color 24-bit image on a computer. Unfortunately, Within the year Commodore began to let the Amiga die. And right about this time I saw a demo of a crazy little program called AfterEffects at an NAB convention. Little did I know how big that software would become.